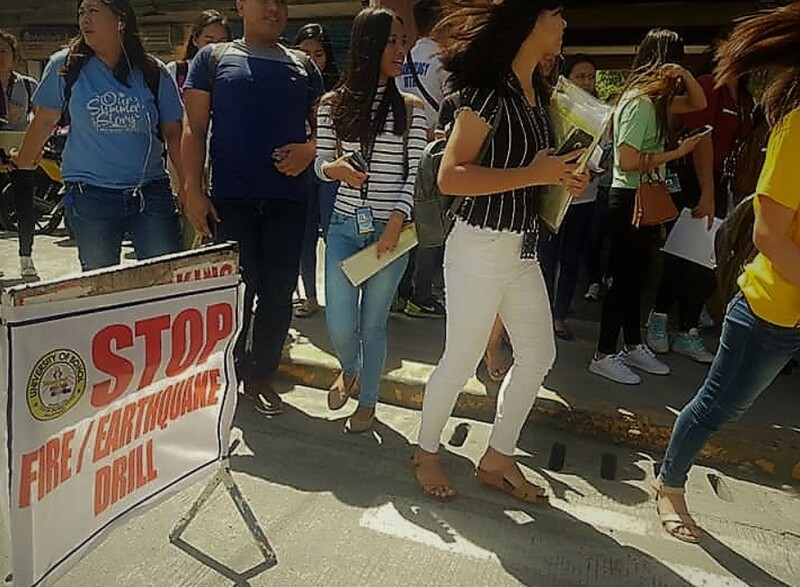 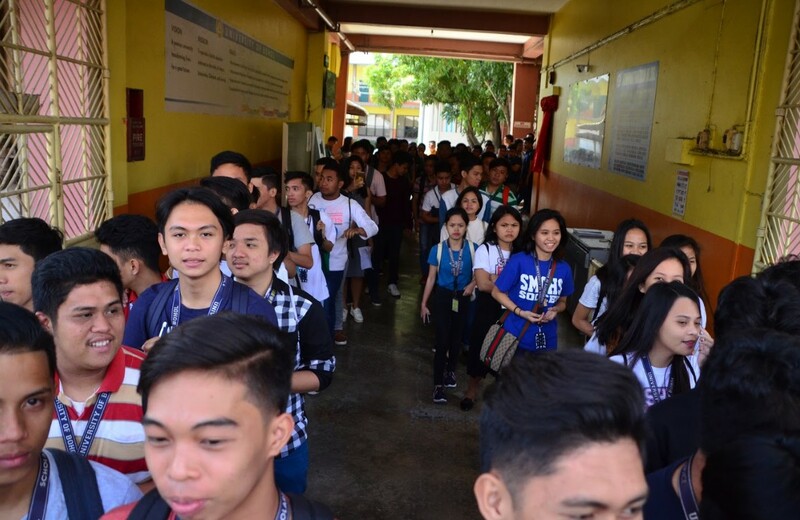 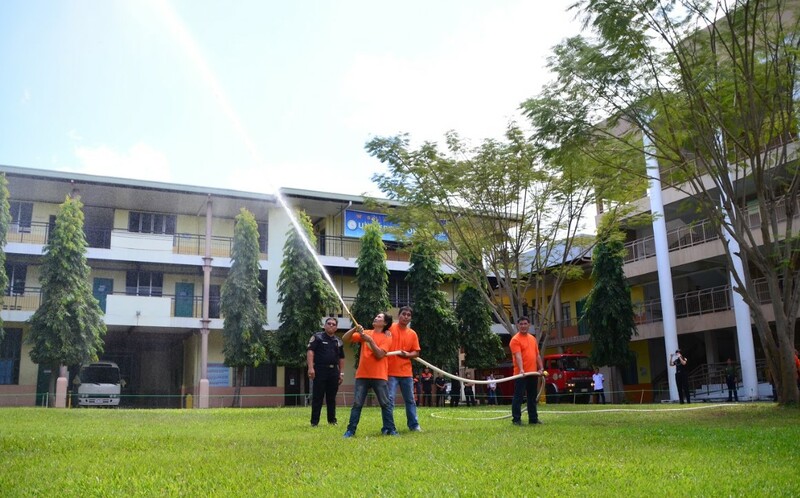 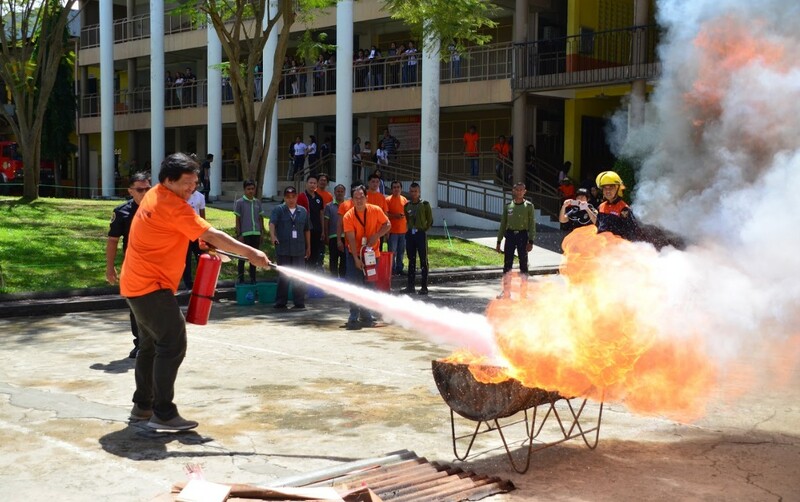 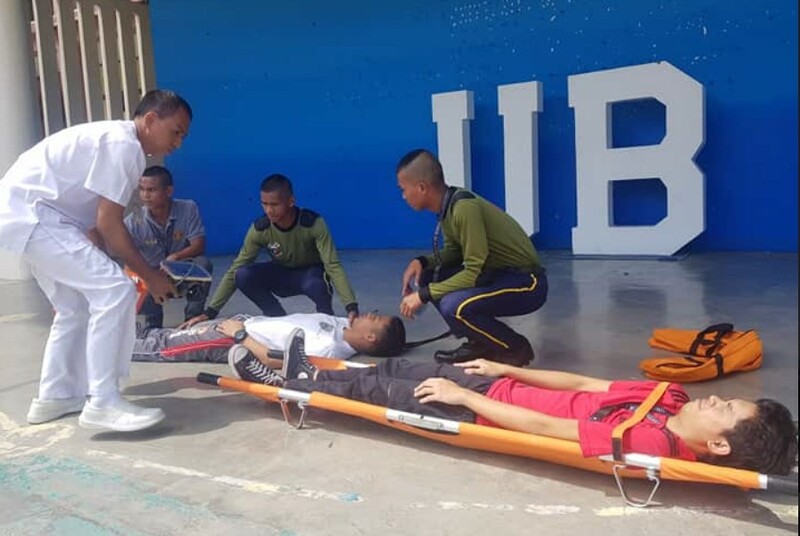 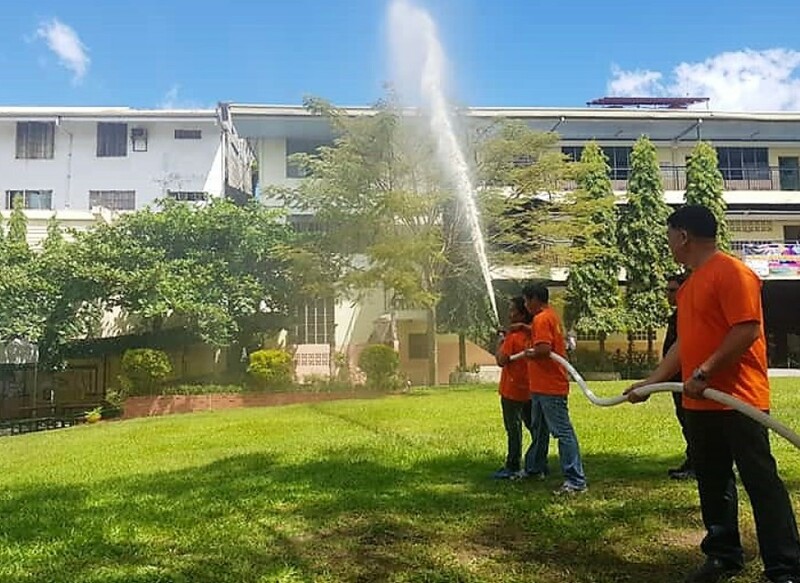 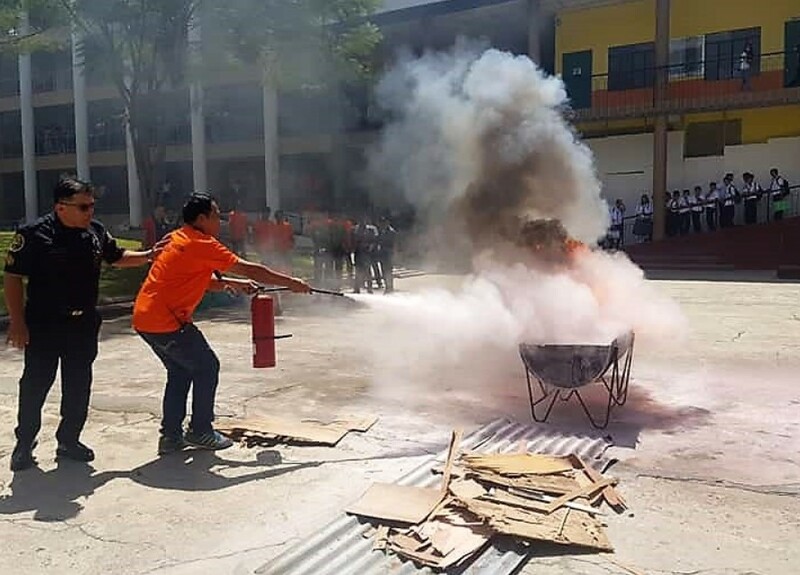 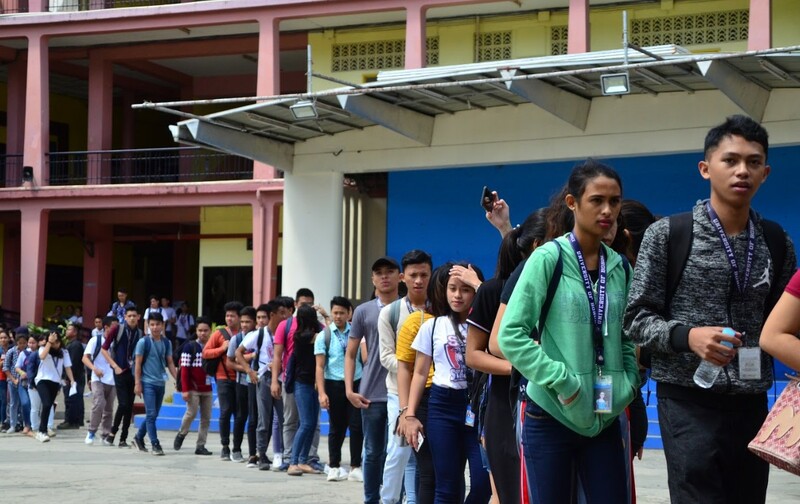 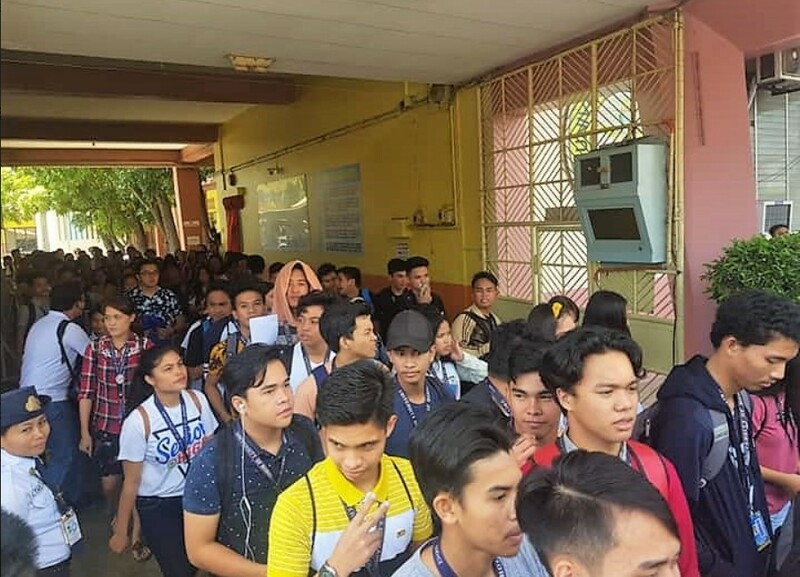 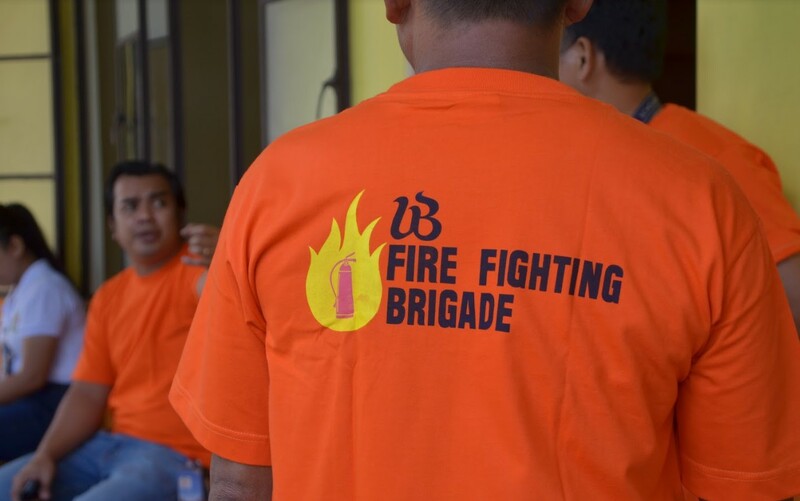 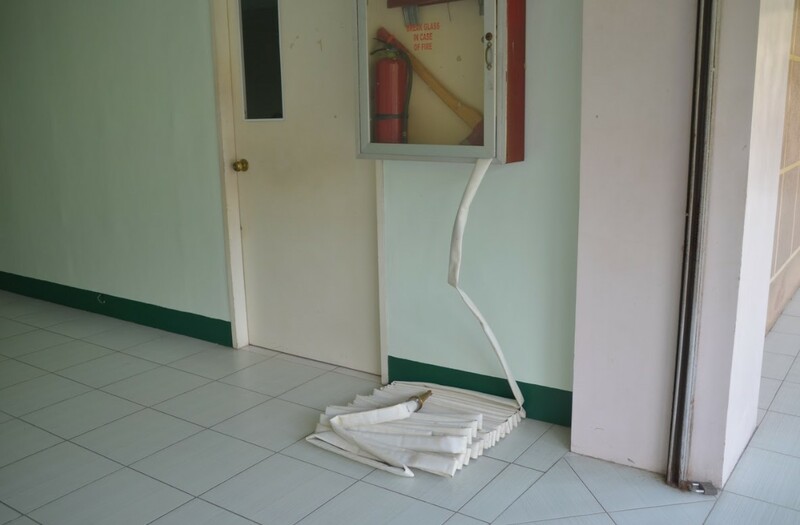 In readiness for any possible incidences of fire, the University of Bohol (UB) conducted a fire drill involving its students, employees, parents, alumni and other stakeholders last February 20, 2019 at the university’s main campus. 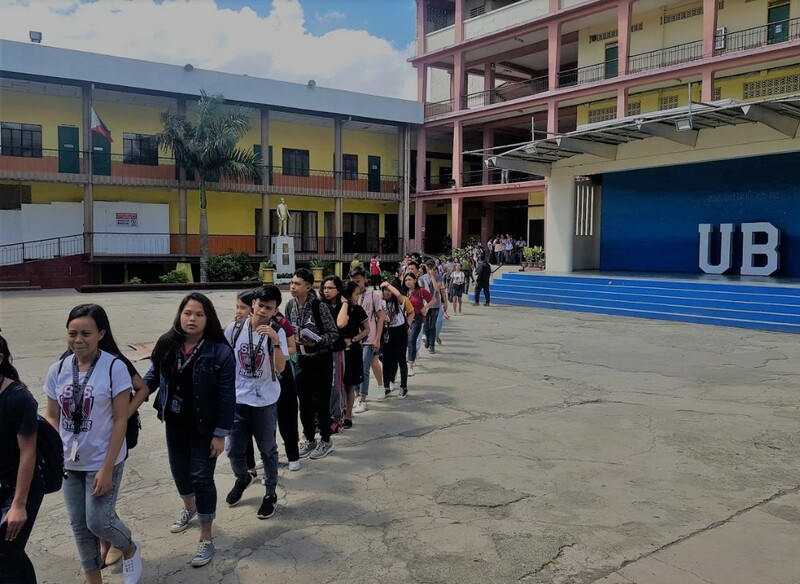 Three successive long alarms were sounded, and students, employees and other clients went outside the campus thru designated exits. 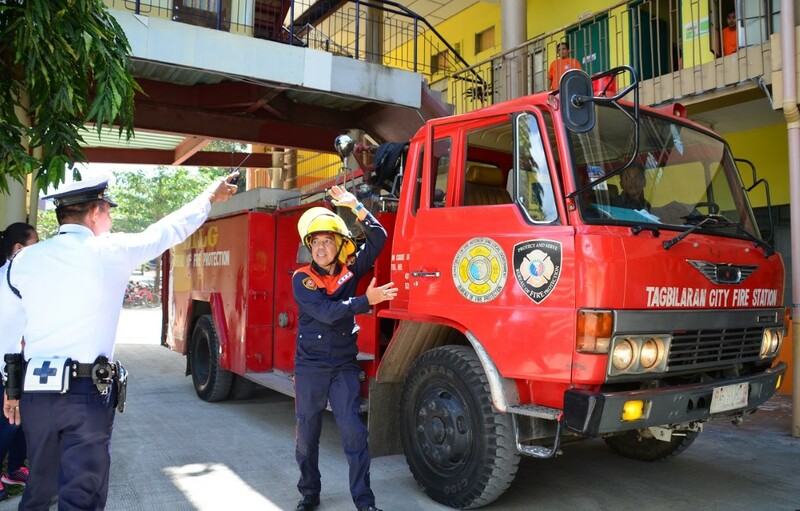 Fire trucks from the Tagbilaran City Fire Station arrived on the scene and doused water on the simulated fire. 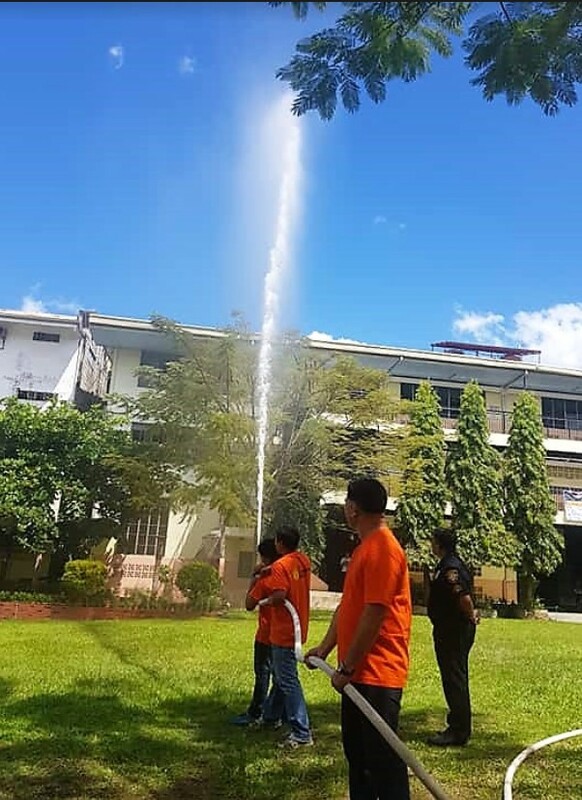 School fire brigades automatically pumped out water from the water hydrants while other personnel involved used fire extinguishers in putting out the simulated blaze. 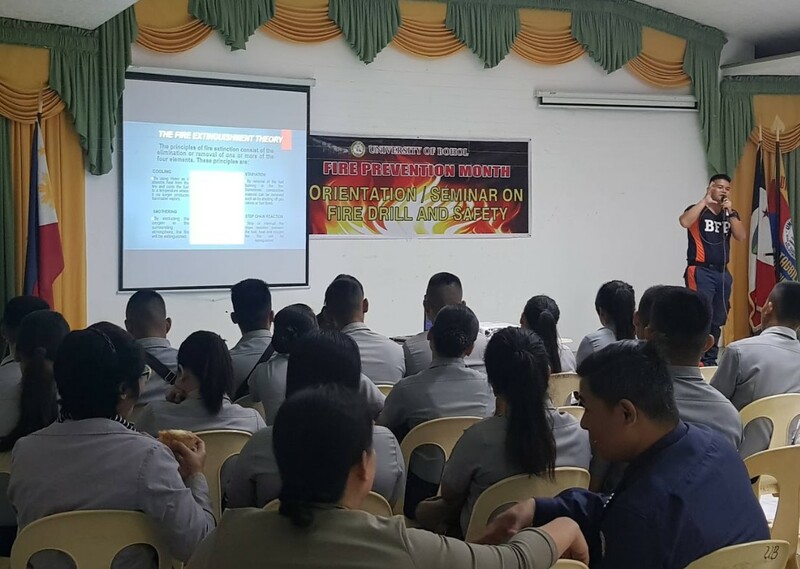 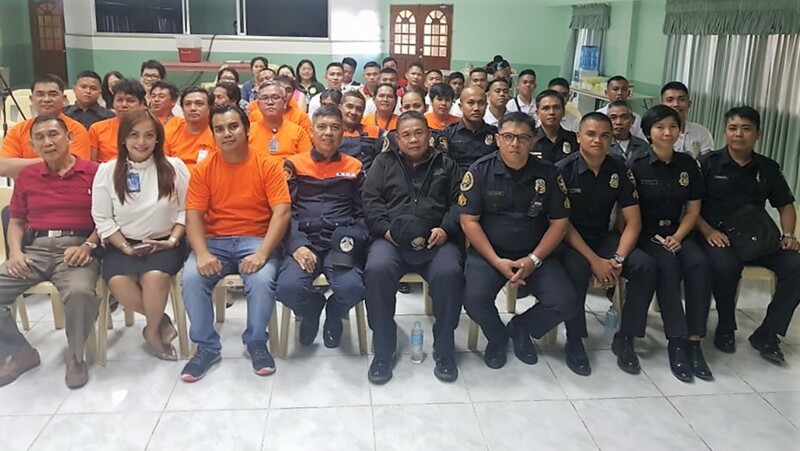 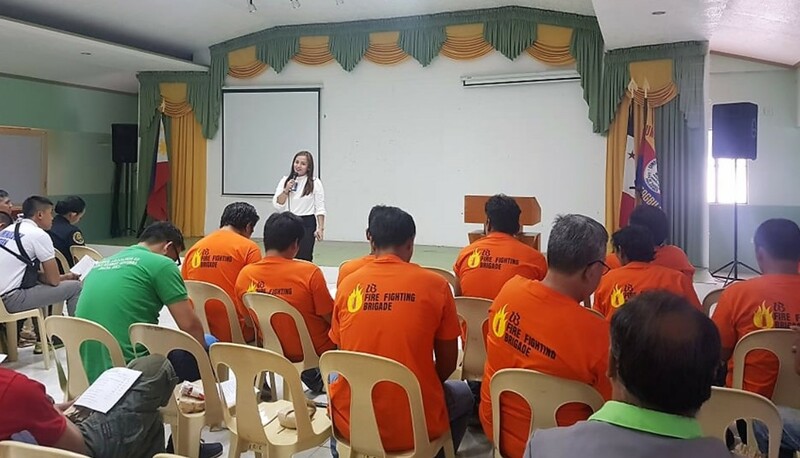 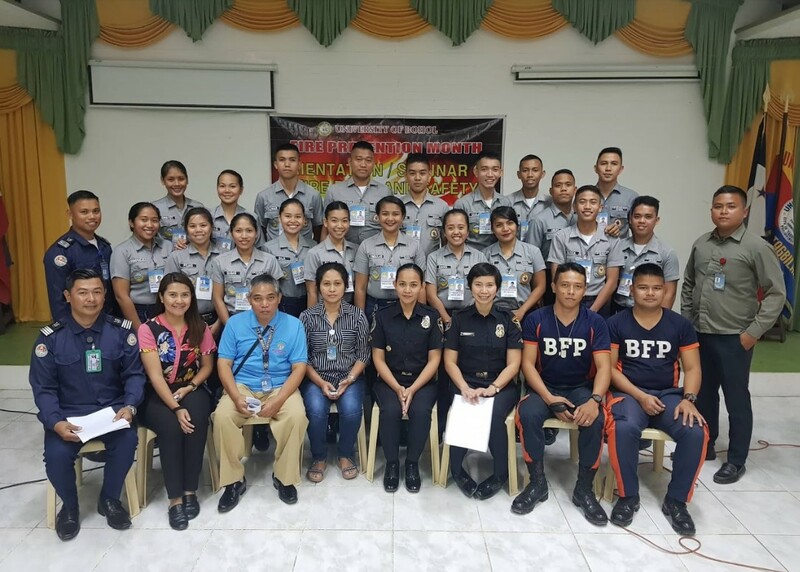 Previous to this, the City Fire Department thru City Fire Marshal F/SINSP Marlyn R. Macatangay, BFP had already conducted a Fire Safety Inspection Orientation/Seminar to the UB Campus Fire Brigade at the IRC Auditorium last February 18, 2019. 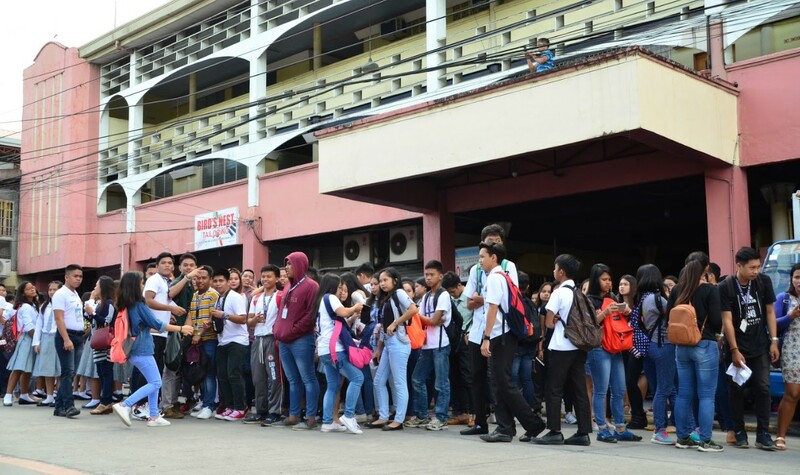 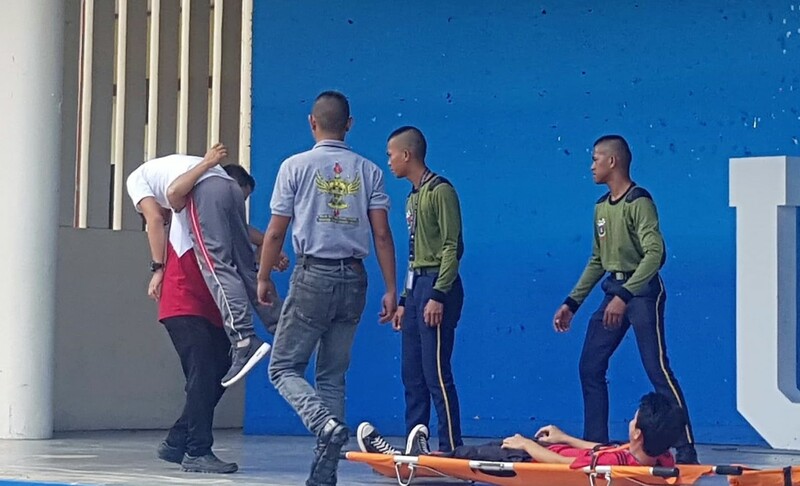 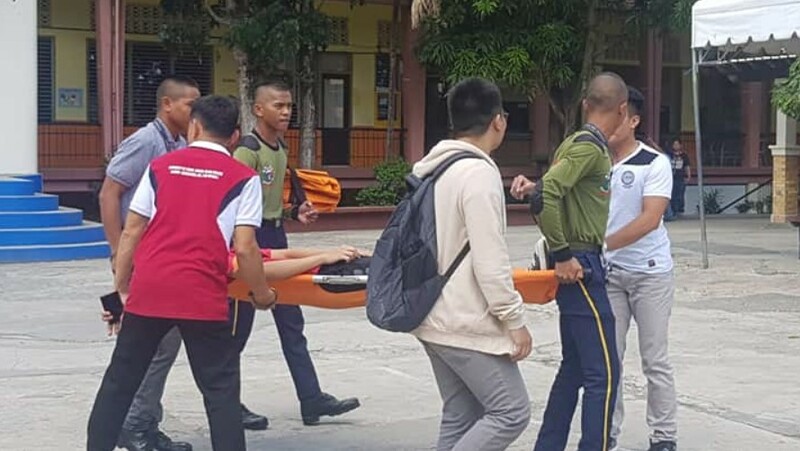 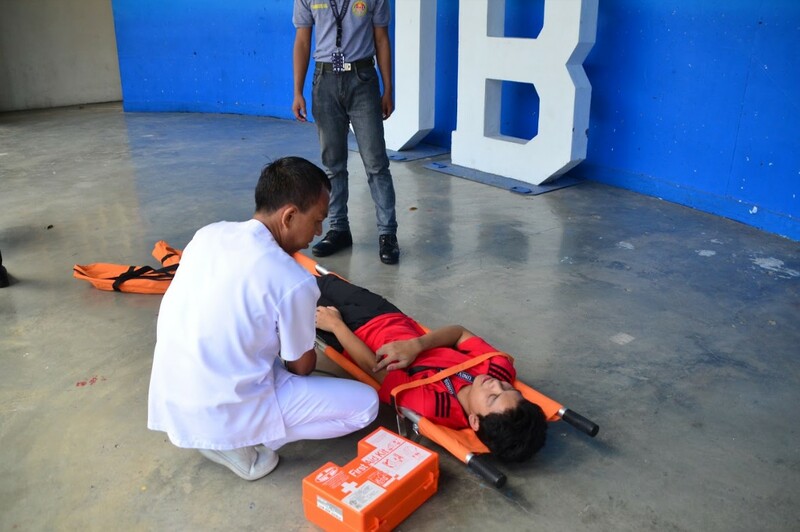 Henrietto B. Magdua, Chief Security and Safety Officer, likewise stressed that the school also regularly conducts a periodic drill for earthquakes, typhoons, and other emergencies, calamities and disasters. 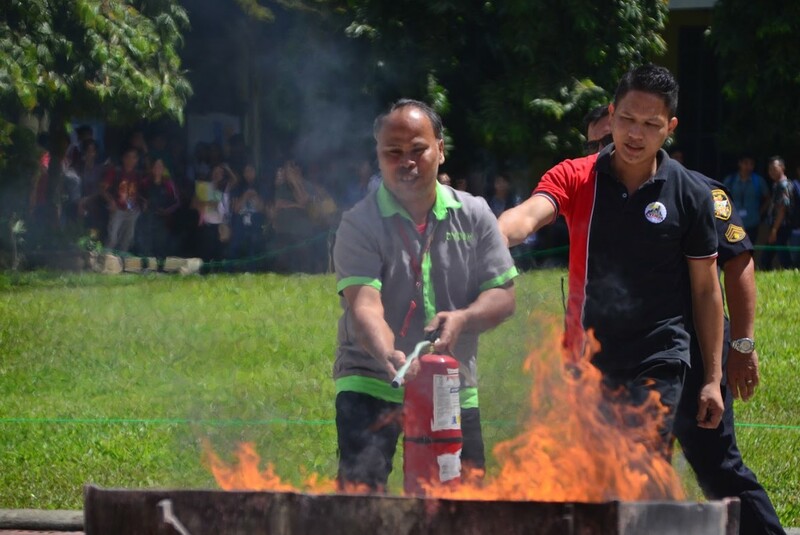 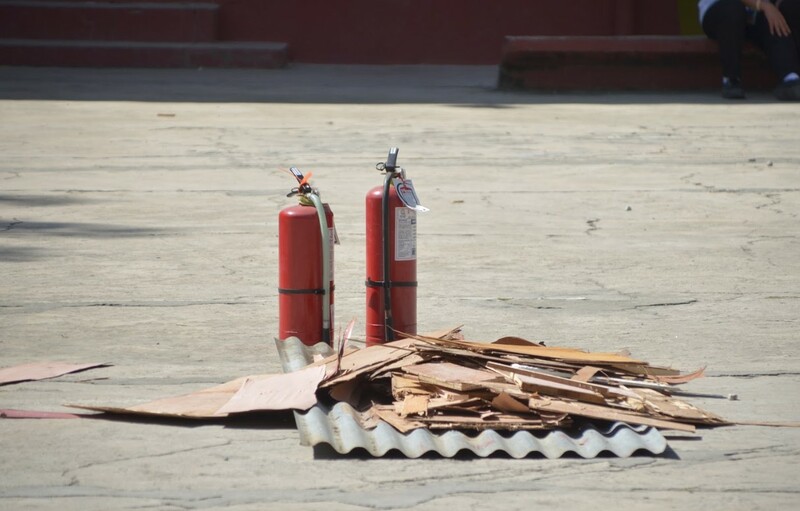 It can be recalled that the month of March is observed as Fire Prevention Month nationwide by virtue of Presidential Proclamation 115-A issued on November 17, 1966 by then President Ferdinand Marcos.